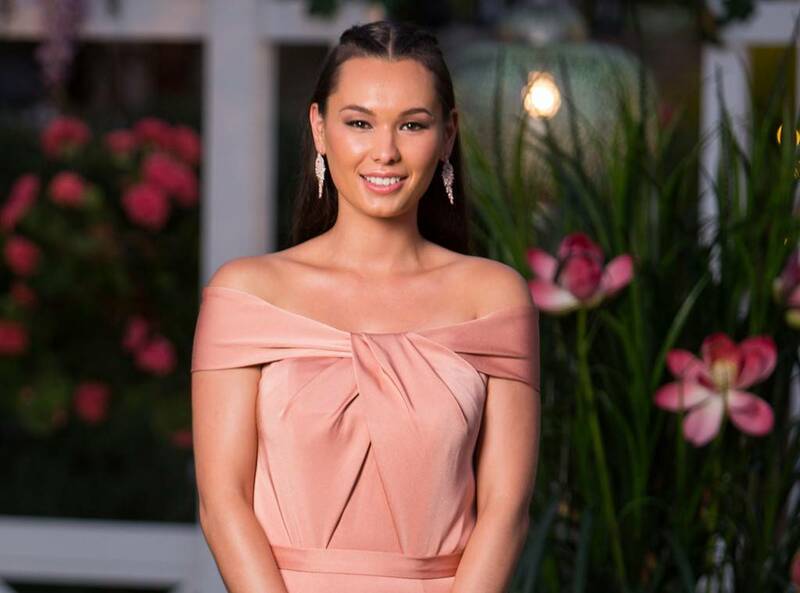 Even before she was booted from The Bachelor Australia mansion, fans were cheering for Vanessa Sunshine to become the next Bachelorette. If she did become the next Bachelorette after Ali Oetjen, Vanessa has one request for her potential suitors. On The Bachelor, the legal secretary was open about her lack of attraction to the moustachioed Nick Cummins—and even asked him if he’d accept a makeover in episode 6. The 27-year-old also shut down reports about some contestants being told they’d score a spot on the Bachelor in Paradise cast if they stuck around on The Bachelor—despite not being impressed by the Honey Badger. “No, I was never approached about that and I don’t think it’s true, to be honest,” she says. During the series, the bachelorette was unafraid to speak her mind—even describing her attitude as “I give zero f–ks” in an August 30 Instagram video—leading some fans to label her as the greatest The Bachelor Australia contestant ever. And while she was a favourite with viewers, Romy and Cat took issue with her straight-shooting. Vanessa battled bullying long before her Bachelor days. In a 2016 Facebook post, she explained that her “physical attributes were not the same as those around me and this was commented on often” when she was growing up. “I don’t really look at myself as an ethnicity. I’m obviously a mix. I’m Asian and European. As far as I’m aware,” she tells Bravo. “I suppose I just look different. I have different features, I have really high cheekbones. That was always commented on a lot when I was younger and it still is. Should You Be Obligated to Help Family Members in Financial Trouble If You're More Successful? Was Kyle Richards Surprised When Paris Hilton Called Off Her Engagement?